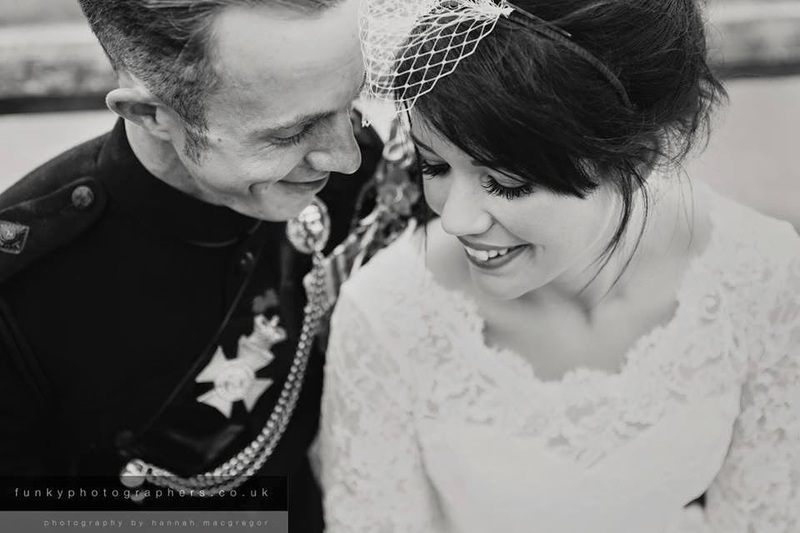 It’s always a pleasure looking back at my brides. 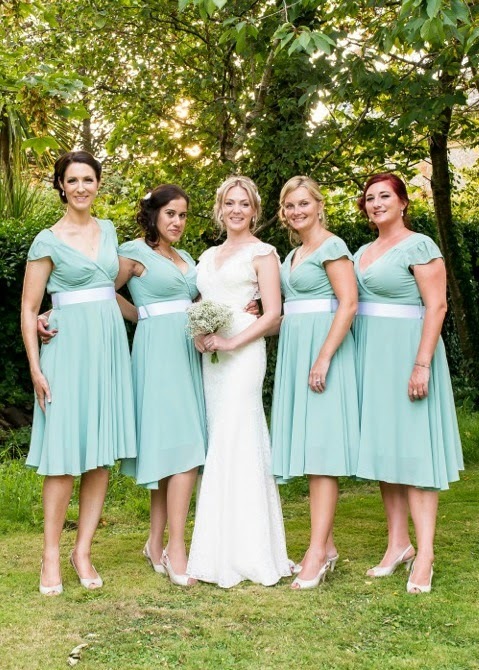 It’s almost impossible to choose favourites – I can honestly say they ALL looked fabulous. 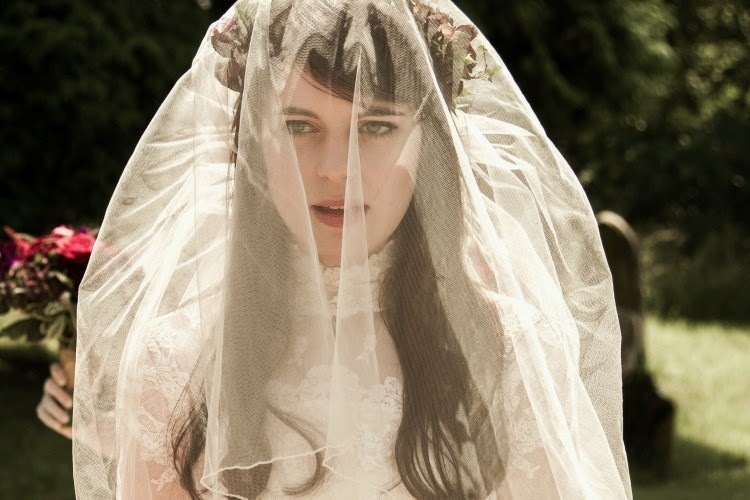 But here goes (drum roll, please)… in no particular order, my very favourite 7 Real Vintage Brides of last year! 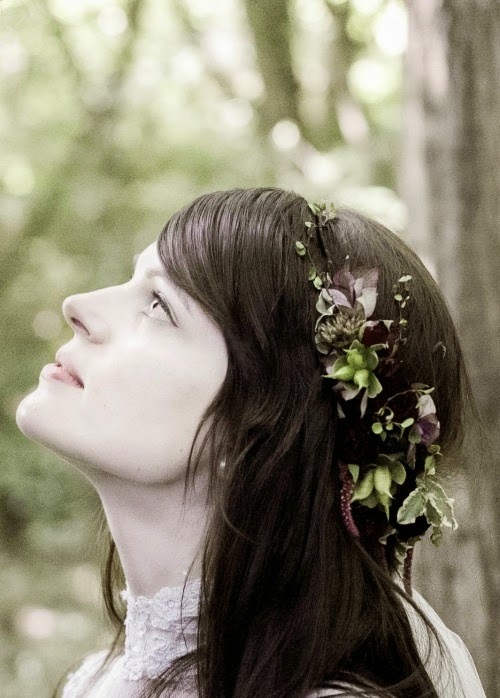 Molly was a real angel, so unassuming and beautiful. We found the perfect dress for her – a high neck, long sleeve, willowy Priscilla of Boston dress. I love a high neck dress with long sleeves and a slim-fitting skirt. 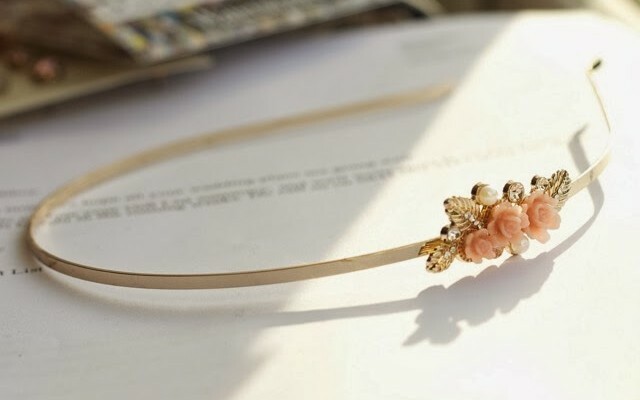 It’s such an elegant combination, so modest and charming. 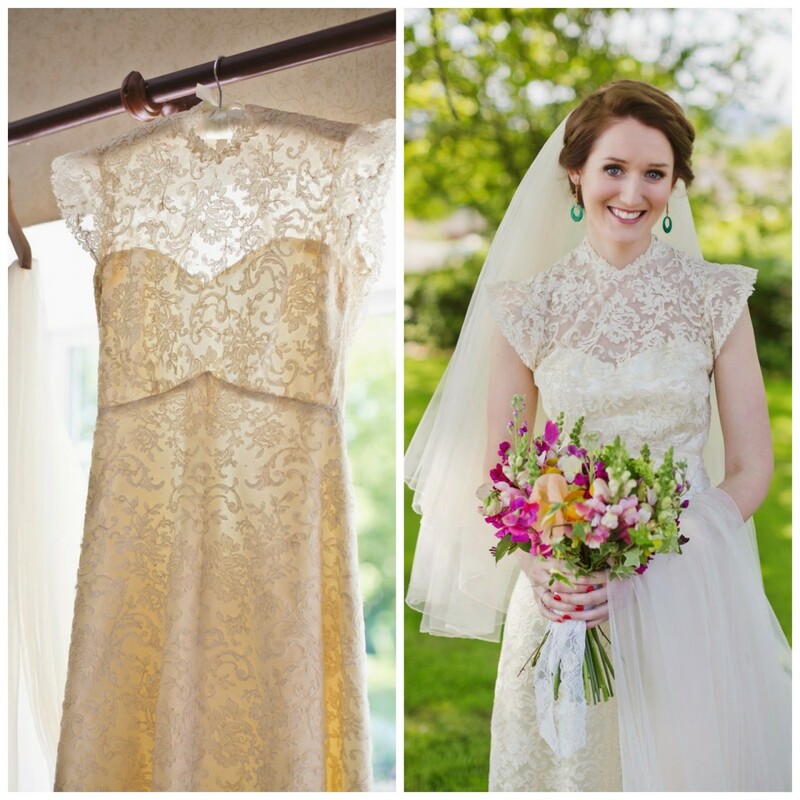 And vintage dresses do it best – just like Molly’s. High necklines don’t flatter every figure – I find they work best with a small bust. But when it does work – as here – it looks amazing. Lovely Felicity chose Butterfly from my own collection. 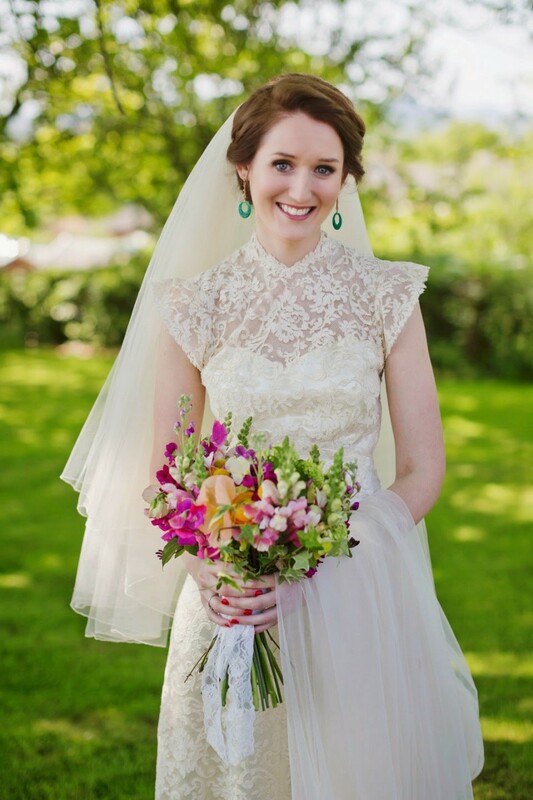 I never tire of seeing girls bring my vintage style wedding dresses to life. 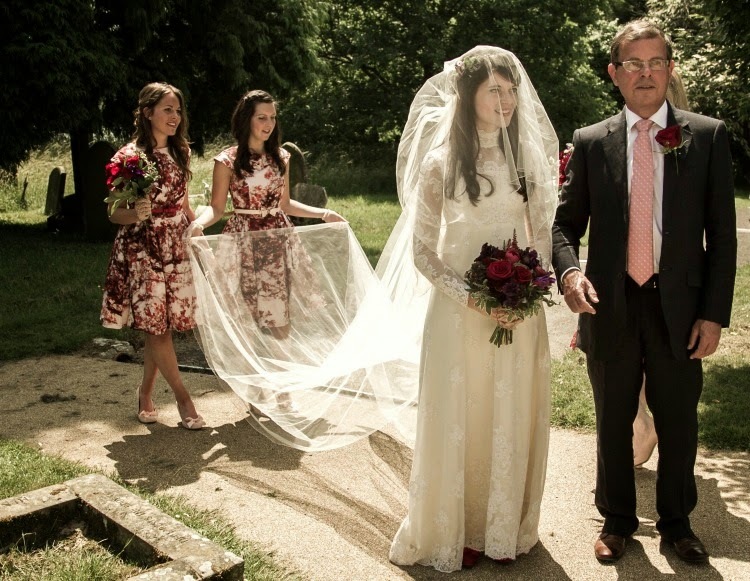 I feel immensely proud of each bride, they all wear the dresses so differently and bring their own personality and style. Felicity’s dress really shows off her fantastic figure. 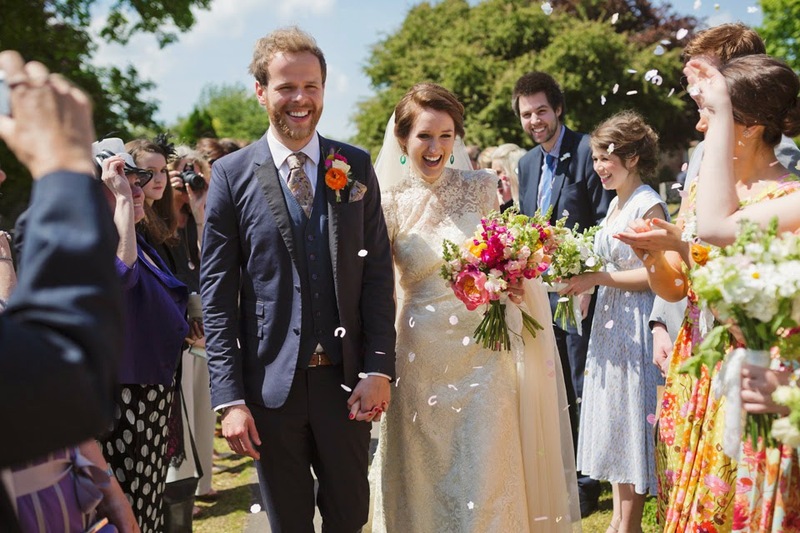 And to me, her own style makes it looks the epitome of a perfect English summer wedding. 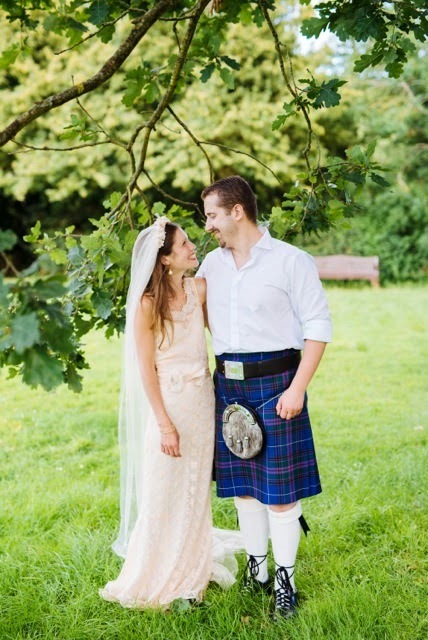 Jane married her charming partner George last summer, in a stunning original 1950s blush lace dress. I admit to being a bit greedy here. 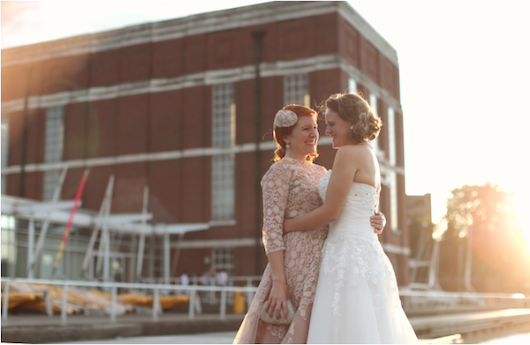 When I met these two lovely and very impressive women, I wanted them both to be Heavenly Vintage Brides! I tried to tempt George as well as Jane, but it was not to be! Instead, they cleverly coordinated their styles, both wearing 1950s silhouettes in tea length. And I’m delighted with the results. 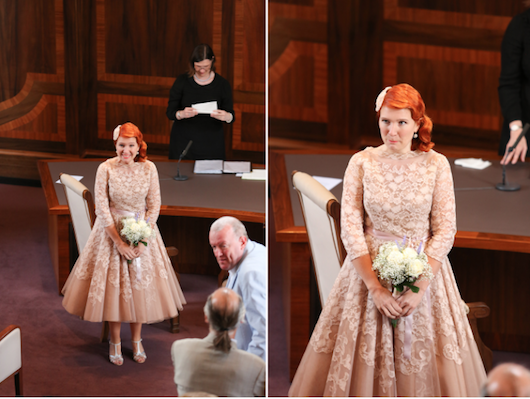 Jane looks devastating in her 1950s tulle and lace vintage wedding dress – so stylish, and the perfect complement to her dramatic red hair. 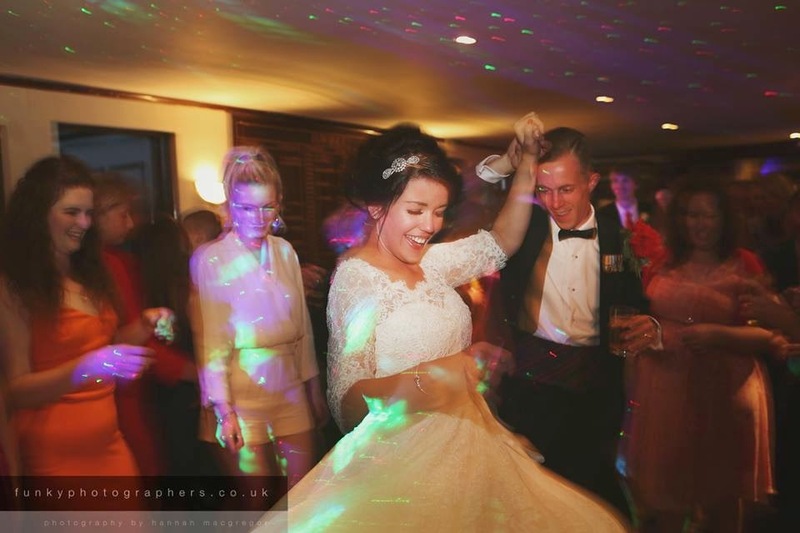 Chloe looks fabulous in the Blanche 1950s inspired wedding dress from my Heavenly Collection. 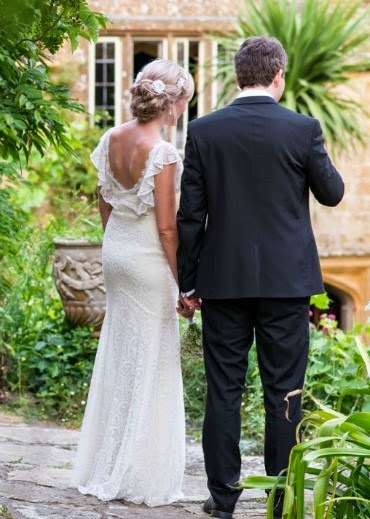 She chose the ballerina length, with a three-quarter sleeve and we finished it off perfectly with a beautiful silk ribbon and handmade silk rose. It’s such a classic beauty – and so is Chloe! 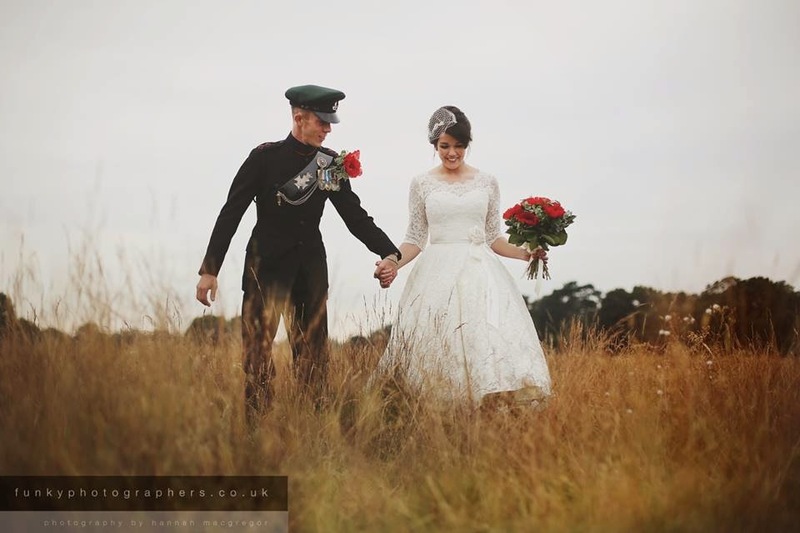 Chloe and her family were really fun to work with, I loved being a part of their brilliant day. Beautiful Selina is a teacher. 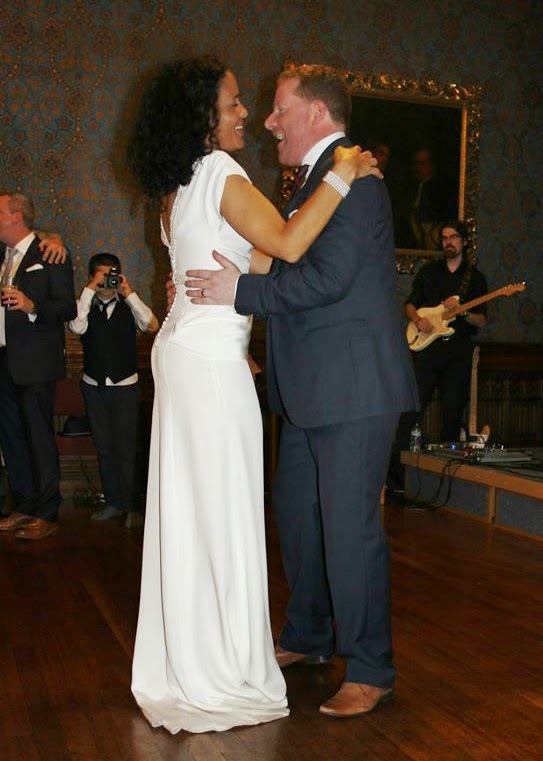 With her lovely athletic figure and even lovelier sweet nature, she suited the Bette dress from my Heavenly Collection so well. 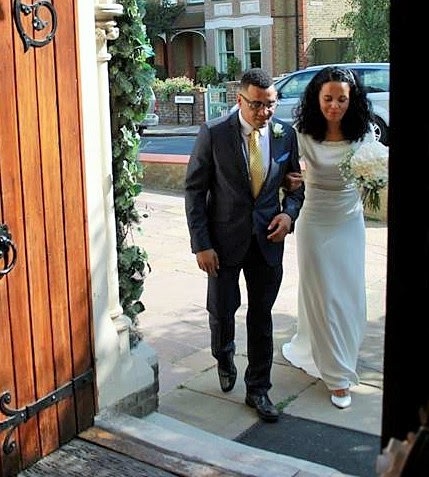 It was a complete pleasure to be involved in Selina’s special day. 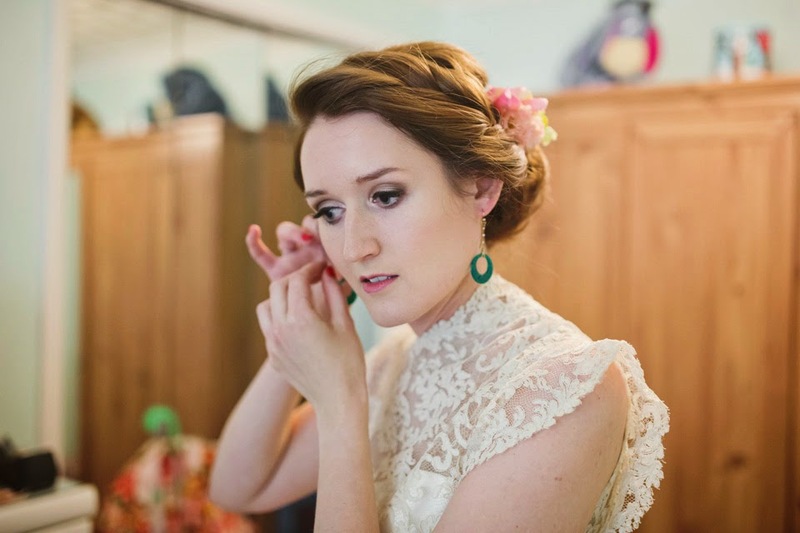 I loved watching her transform from a charming, kind teacher to a fabulously slinky and glamorous bride! 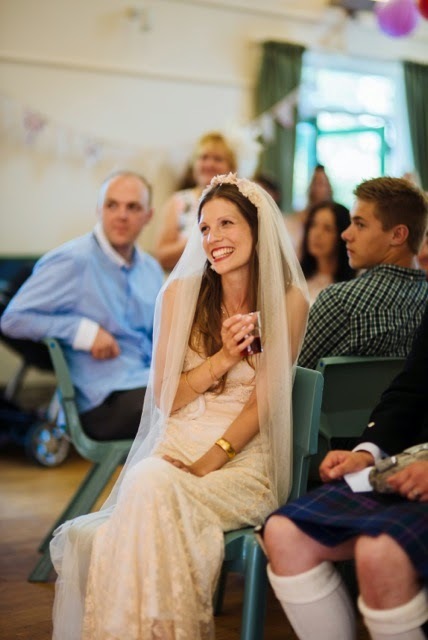 Dainty Becky was married last summer in a delicate lace peach coloured original 1930s dress. 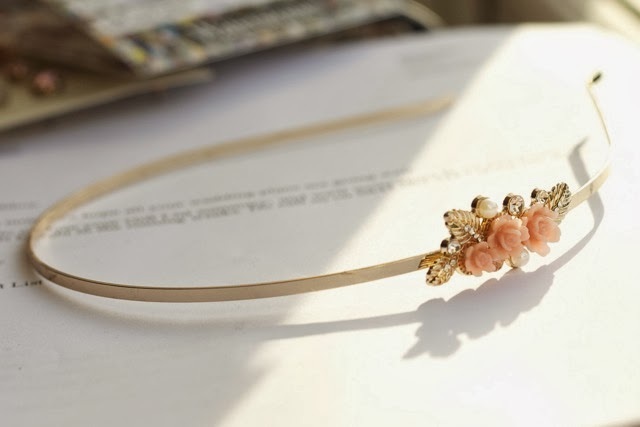 I’m a big fan of pastel coloured lace and vintage has plenty to offer in the way of pretty shades of palest pink, peach and champagne. 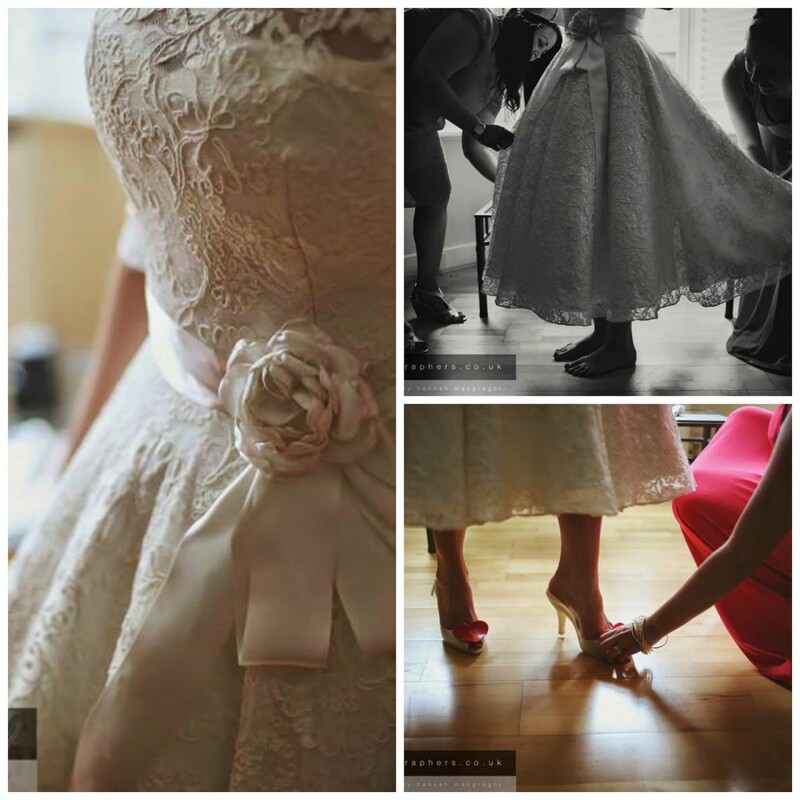 Inspired by this, I offer a similar choice with my own Heavenly Collection of vintage-inspired wedding dresses. 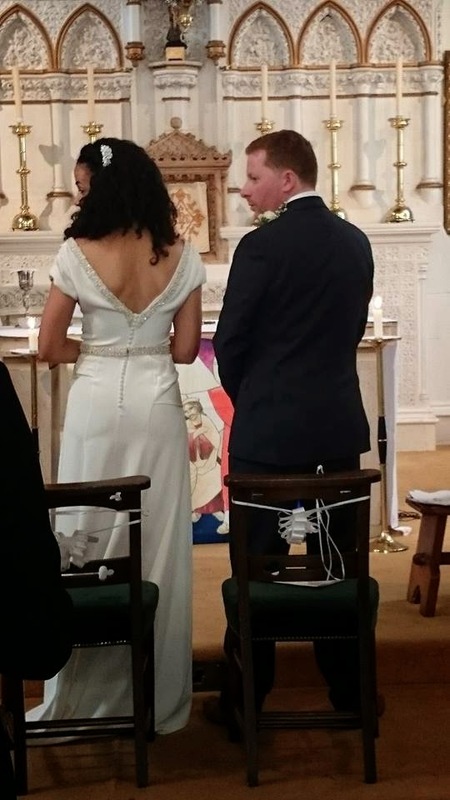 Becky’s dress was so simple and just perfectly lovely for her, she accessorised it very well with the long veil and pretty silk flowers, made by my lovely seamstress Grace. 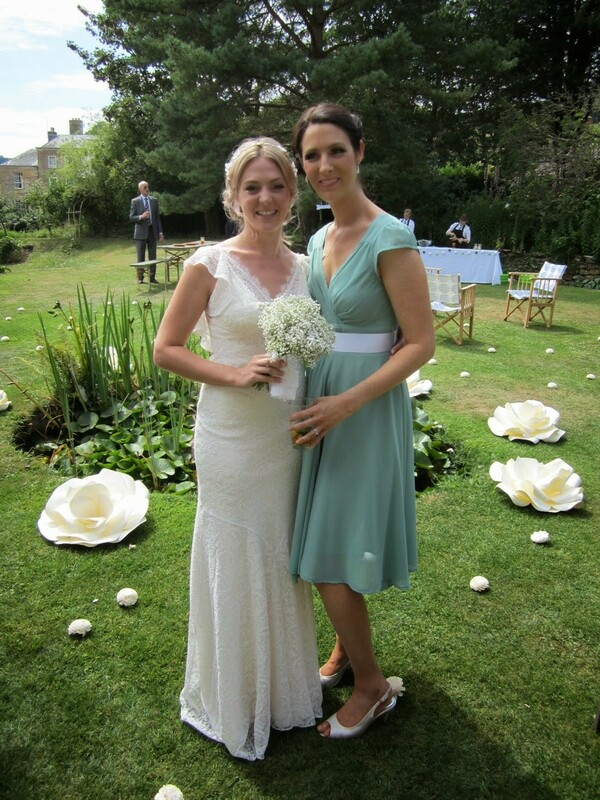 Lucie chose a stunning 1940s original vintage dress. 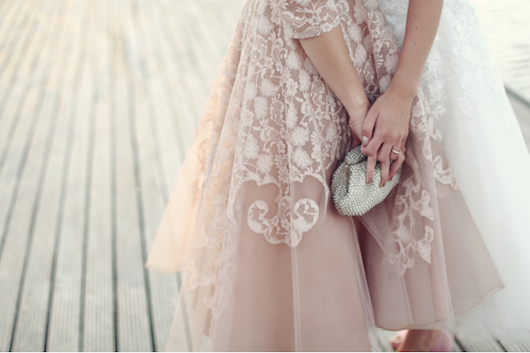 I’ve rarely found such a fabulous dress – with its long net train, beautiful corded lace, and those little cap sleeves. 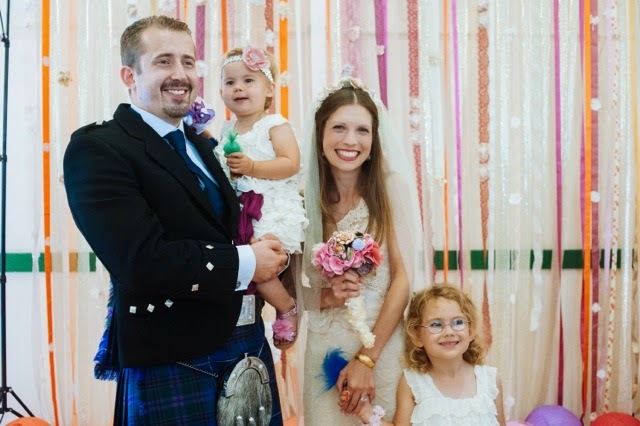 Lucie really shone in her dress at her wedding last summer – a truly beautiful bride and a wonderfully colourful, sunny wedding. I often feel the 1940s gets a little forgotten, between the slinky 30s bias cutting and the flirty fun 50s dresses. But it’s a decade I’m really fond of – sophisticated and glamorous without being fussy. So there they are, in no particular order. 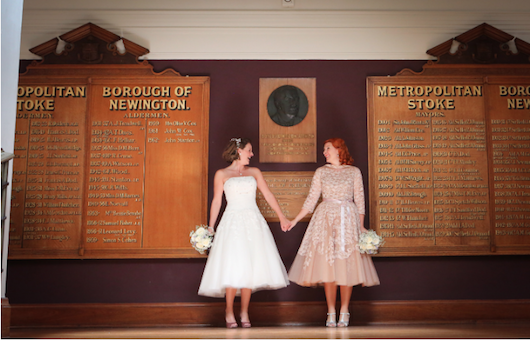 Forgive me if I missed out your own personal favourites – I’m proud to say every one of my brides looked beautiful in their vintage wedding dresses. 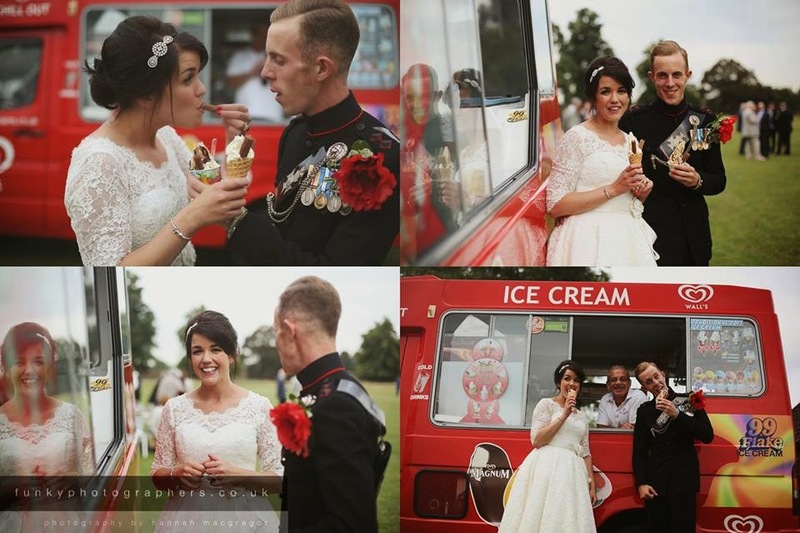 Take a look at more stunning real vintage brides here… and make your own impossible choice!